Amanda explains how custom audiences based on engagement can trigger an ad sequence that furthers your marketing objectives. You’ll discover tips for promoting events and segmenting audiences based on video views. 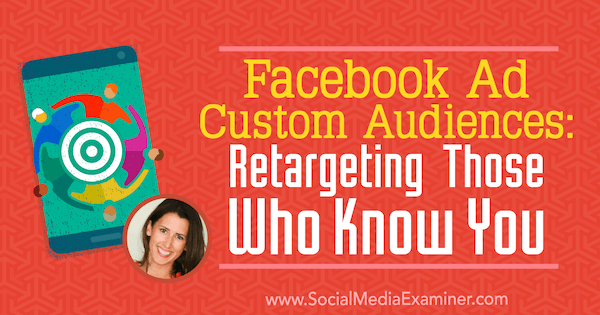 Facebook Ad Custom Audiences: Retargeting Those Who Know You featuring insights from Amanda Bond on the Social Media Marketing Podcast. When you advertise on Facebook, you can target people who have an existing relationship with your business. This existing relationship is the basis for custom audiences, which are really remarketing or retargeting audiences. 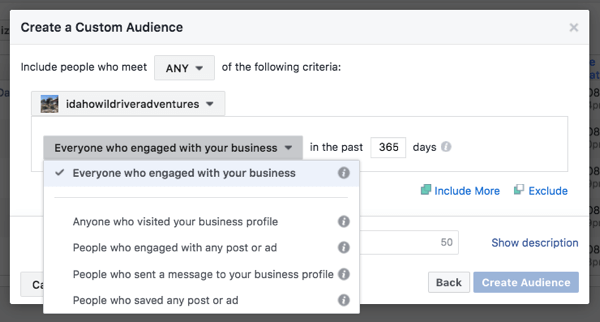 Audience types: Facebook gives you six options for defining the existing relationship between your business and your ad audience. To find these options, open Facebook Ads Manager and then go to the Audiences tool. After you click the button to create a custom audience, you see all of the ways you can define the existing relationship with your business. For starters, you can target customers by uploading a CSV file of customer data, such as email addresses from your customer database or webinar attendees. This option also allows you to target ads to people on your email list. When you choose to create an audience of website visitors, Facebook adds people who visited your site and thus triggered the Facebook pixel. With this option, you can segment the audience (for example, by targeting people who visited this page but not that one). You can create as many exclusions or multiple page visits as you want. If you’re an app developer, you can create an audience of people who are interacting with your app activity. Create an audience of people who are interacting with your app. A new option is offline activity, such as traveling to a store or calling on the phone. Amanda predicts that offline activity tracking will start attracting businesses with larger advertising budgets to the Facebook ecosystem. Amanda is especially fired up about the engagement option because it’s fun and so in line with social media marketing. With the engagement option, you create an audience of people who have interacted with your business via Facebook or Instagram. Engagement types: You can define an engagement audience based on six different engagement elements. 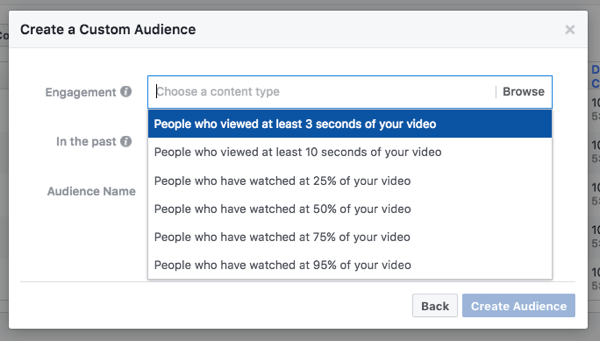 The first is video, which allows you to create an audience of people who have watched at least 3 seconds of your videos on your Facebook page or your Instagram business profile. Amanda discussed Facebook Video Retargeting for Live Video and Beyond the last time she appeared on this podcast. The second element is lead forms. If you already use lead ads, you can get back in front of people who have opened or completed your lead form. Third, the canvas experience is like a little micro-website within the Facebook platform. Create a list of people who have opened those collections or canvases on Facebook. The fourth option is Amanda’s favorite: Facebook page engagement. You can reach anyone who has visited or interacted with your Facebook page again through advertising. The options here, discussed later in the show, should motivate any business owner to spend more time on their social channels. The fifth option is similar to Facebook page engagement, but instead focuses on your Instagram business profile. Don’t confuse that with your personal Instagram profile. With this relatively new option, you can remarket to people who have interacted with your Instagram business profile. You can create a custom audience based on six different types of engagement. Last but not least is the newest option: events. If you host events, you can use the events option to remarket to people who have RSVP’ed to an event on Facebook. Data sources: The data available for creating a custom audience depends on the option you select. If you create a custom audience based on data not collected directly on the Facebook platform (that is, your email list, your customer list, or pixeled website traffic), you can only go back as far as your data. For instance, website visitors trigger the Facebook pixel only after you put the pixel on your website, so that moment is the earliest that Facebook can start tracking it. Moreover, when you segment those website visitors for a remarketing audience, Facebook uses only the data from the last 180 days. Engagement audiences use data from a longer period of time. 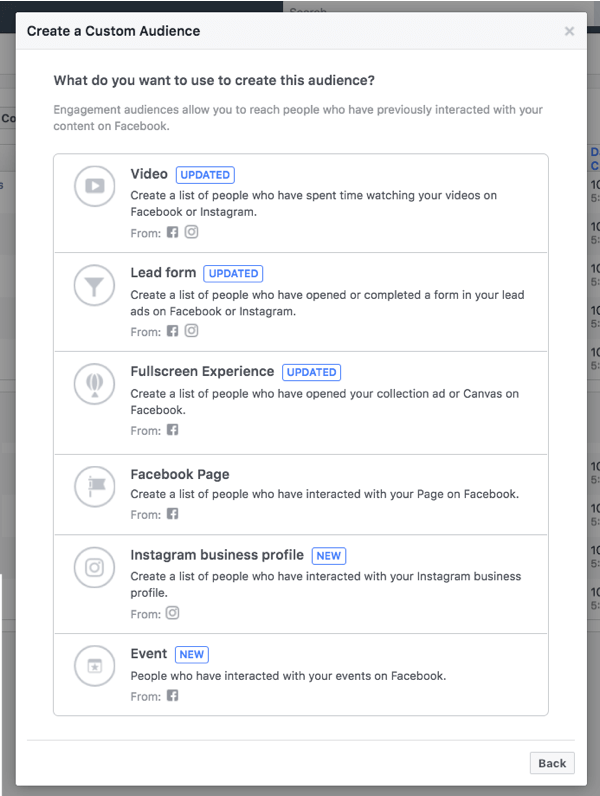 As long as you’ve had a business page or an Instagram business profile, even if you’ve never created certain audience segments in Ads Manager, Facebook uses data from the past 365 days. Amanda believes this readily available data is one of the really cool parts of retargeting ads based on engagement. Listen to the show to find out what you’ll notice when you see the engagement elements on the audience dashboard. With event custom audience retargeting, you can create an audience of people who responded Going or Interested to an event in the last year. Create custom audiences for events created via your business page. One caveat: The event must originate from the business page. You can’t retarget people who responded to an event if you created the event via your personal Facebook profile. When you’re advertising on Facebook, everything originates from the business page. With an event custom audience, you can remarket with one message to those who said Going and another message to those who responded Interested. Using Social Media Marketing World as an example, Amanda explains how this ability to segment is helpful. Anyone who said they’re going likely already has their ticket. Therefore, you might share information in the Facebook news feed about the event, the speakers, or the agenda, so they have a better experience when they attend. However, people who responded Interested likely haven’t bought their tickets yet. You’d want to remind them to take the next action in the sales sequence; for instance, send them an ad incentivizing them to buy. A lot of people RSVP to events on Facebook because they want to receive notifications about the event. Clicking Interested or Going directly on the Facebook platform is easy. With this point in mind, Amanda has been experimenting and had success with keeping all of the details for an upcoming event on Facebook, and encouraging existing warm audiences (custom audiences) to RSVP Interested or Going. Amanda attributes this success to several factors. This approach doesn’t take people off of Facebook to register. It takes the user experience into account and makes noting the intent to go easier than ever. Amanda says she reminds people and moves them through the sales process. Separate those who are going or interested into different custom audiences. Although group targeting isn’t yet available, Amanda has a hack. Anyone who watches at least 3 seconds of a video can go into a video custom audience. So if you share a previous event’s video highlight reel from a business page directly into your group, any group member who watches it for at least 3 seconds can be retargeted to RSVP or buy a ticket to the event. You can stack together fun sequences to build a customer journey. I ask if you’d need to unlist the video so that your business page fans don’t watch the video. Amanda says you can do that, but you might also want page fans to see the video. The specific implementation of this hack depends on your objective for the event. You might want both page fans and group members to see the event offer. Listen to the show to hear my thoughts about using event custom audiences for Social Media Marketing World. An Instagram custom audience targets people who have interacted with your Instagram business profile. Amanda did a celebration dance when this option recently became available because it allows anyone curating an engaged Instagram audience to retarget that audience in ways that move them through the sales process. You can specify everyone who has engaged with your business or create segmented audiences. Segmenting options: You have four basic segmenting options. You can create audience segments based on engagement with a post or ad. You can create a segment based on visits to your business profile (which takes a little more effort than engaging with an Instagram post). You can also create a segment of people who messaged your profile, or saved one of your posts or ads to a collection. There are four ways to divide Instagram business profile custom audiences. At this point, you can’t segment Instagram business profile engagement by engagement type. For instance, you can’t segment by those who comment on a specific post. Engagement includes anyone who likes, comments, saves a post to their collection, or swipes through a carousel. Ad engagements include a click-through, tap of the call-to-action button, or share using the Direct Message feature. All of these are like a big bucket of engagement. The only exception is video views (discussed a little later). 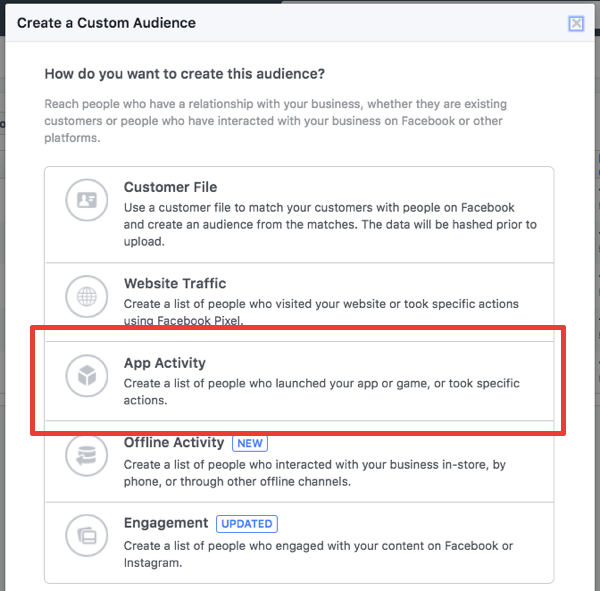 Instagram audience benefits: I ask why this Instagram option for Facebook custom audiences is important. Amanda says this option allows social media marketers to take all of the work they do to cultivate attention and use it to move people toward considering a purchase. Cultivating attention helps you find ideal clients or prospects. Ads play an important role in putting relevant content in front of these prospects to start a sales conversation. So, a jewelry line or an Etsy seller shares organic content to draw attention to their business. With retargeting custom audiences, they say, “You interacted with my brand on Instagram in a meaningful way. Perhaps you might be interested in seeing more pieces of my jewelry line, or learning more about who we are and what we offer.” So the Instagram option for a Facebook custom audience allows you to do reminder marketing to people who interacted with your brand in the past. For people who may have interacted with you in the Discovery tab but didn’t come over and like your profile or engage with anything else, you could incentivize them to do so. Share other relevant content that would pique their interest in who you are and what you have to offer. Tell them about who you are as a brand. To take it one step further, make sales offers to them. Depending on the length of your sales cycle, you could customize the tactics to your own strategies, which are based on your objectives. With so many targeting options, you can target for brand awareness, lead generation, or selling. Instagram video views: Next, Amanda and I talk about video views. Since the last time Amanda was a guest on this podcast, Instagram released a feature that allows you to create an audience segment based on who watched at least 3 seconds of a video on your Instagram business profile. Target people by how much of your video they’ve watched. Moreover, you can customize the targeting in very specific ways. To illustrate, you can remarket to people on Instagram who watched the video from a specific post. Amanda encourages people to think about the sequential marketing they can do with this retargeting option. For instance, people who sell by webinar typically market to completely cold audiences with a lead-generation ad and then remarket to people who register via email. In this type of sales funnel, all of the automation happens behind the scenes (namely sending emails to get registrants to show up for the webinar). However, with a custom audience based on Instagram video views, your brand can stay in front of people with a curated customer journey. With webinars, you can do the lead generation with people already in your warm segmented audience. They register for the webinar, and after they do, you can continue to show up and be relevant while they’re in that purchase-consideration phase. Your focus is no longer about building the email list the fastest. Instead, you focus on creating an experience for your potential customers (your prospects) to position your brand. No matter how complex or how simple that sales process looks for you, custom audiences allow you to focus on how to take the social media attention that you get and direct people toward becoming customers. Listen to the show to hear more about targeting audiences from the Instagram Discovery page. A custom audience based on Facebook page engagement does just what it says: It targets people who have interacted with your page on Facebook. Facebook page engagement targets those who interacted with your business page. This tactic works very similarly to targeting based on Instagram business profile engagement. You can choose everyone who has engaged with your page (through organic reach or Facebook ads) in the last 365 days. 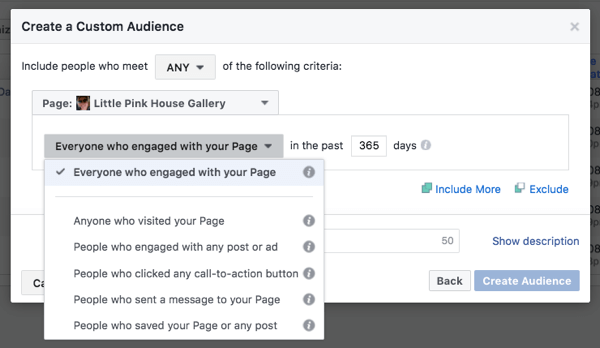 Even if someone engaged with a Facebook ad not published on your page, the engagement is included in the broad audience of everyone. 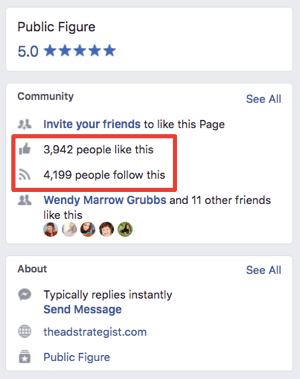 You can segment a Facebook page engagement audience by people who visited your page, engaged with any post or ad, clicked any call-to-action button, sent a message to your page, or saved your page or post. When a post includes video, you can target people based on their engagement with a specific post. In this type of audience, you can target anyone who has watched at least 3 seconds of a video. Amanda uses a highlight reel from Social Media Marketing World as an example. After sharing the reel as an organic post, you could create a custom audience of anyone who watched at least 3 seconds and ask them to RSVP to next year’s event. Again, Amanda emphasizes thinking about a marketing sequence. Whatever your objective, you can create a follow-up sequence. Her clients who host a weekly Facebook Live show, for example, mention a freebie or download during the show. Because the goal is to generate leads, anyone who engaged with the live video sees a lead generation ad after the show. The ad reminds the audience why the download is relevant and uses the same verbiage from the live show. After someone has a brand impression, getting them to download an item costs much less than it would without the impression. The exact same freebie or checklist is much more cost-effective because they’ve already had that exposure to your brand. They engaged with your page (visited your page or engaged with the posts or ads). Target people who watched a video with a lead gen ad. Amanda says most people think their custom page engagement audience is smaller than the number of people who like their Facebook page. However, that assumption is incorrect. More users see your page’s content when your audience shares your posts. Your video views audience and page engagement audience are exponentially larger than the number of page followers. Listen to the show to hear Amanda share how people with previous brand exposure engage with your Facebook page. Next, Amanda and I segue into combining audiences. Imagine, you can combine and target those who have engaged with your page but aren’t page followers. To build up your page engagement, Amanda recommends a tactic she calls “engagement looping.” When somebody shares your content organically from your page, go to the page or the person who shared it and thank them. Or try Amanda’s trick of three in a row. She thanks them for sharing, leaves a fun emoji string, and asks a question that encourages them to come back to the post and engage. Amanda’s page engagement audience is four times the size of the audience that actually follows the page. Although Amanda has a smaller page, her page engagement audience is four times the size of the audience that actually follows the page. So an audience that combines people who engage but aren’t followers has the potential to make a big impact. Other combinations focus on marketing sequences. For example, Amanda’s preparing for a launch with a client who hasn’t been on social media much. The client has been traveling and focusing on the launch. Their plan isn’t to use Facebook advertising dollars to make a big hoopla out of the gate. Instead, they’re reminding people the brand exists. To increase awareness, a weekly video features the client answering questions from the audience. After somebody watches the video, a custom audience triggers a sequence of events. Specifically, the day after someone watches the video, that person sees an ad based on the Video Views custom audience. The ad encourages them to engage with the page. The day after, an Instagram story pops up and interacts with them on a new platform. The sequence continues from there. The upshot, Amanda stresses, is that you can use combinations to create a marketing sequence that takes place over 7 days. This sequence can take people through introductory content. In other words, Facebook ads can drip the exact same content that you might drip out via email. Listen to the show to hear Amanda discuss how the engagement options can be overwhelming and how you can overcome that feeling. MyTimeZone is a browser plugin that helps you convert a time from one time zone to another. After you install the plugin, highlight a time on a web page, in an email, or anywhere a time appears in your web browser. When you right-click the selection, a menu option displays the selected time in your time zone. 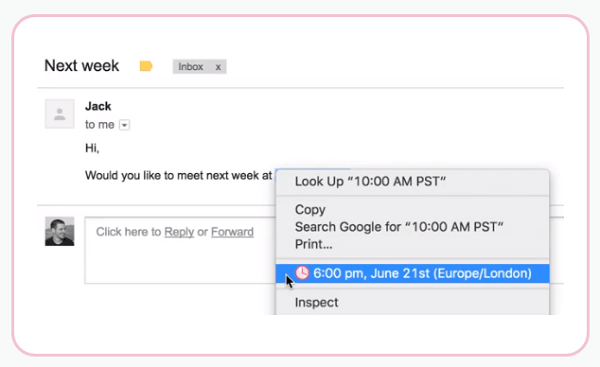 For instance, if a web page says a meeting or webinar is Tuesday at 10:00 AM Pacific, select that time, right-click the selection, and the menu tells you that’s 6:00 PM in London (if you’re in London’s time zone). MyTimeZone converts times to your time zone. MyTimeZone is that simple. It’s a tool that does one thing and does it well. Right now, MyTimeZone is only available for Chrome but they say Safari and Firefox versions are coming soon. Listen to the show to learn more and let us know how MyTimeZone works for you. Learn more about Amanda on TheAdStrategist.com. 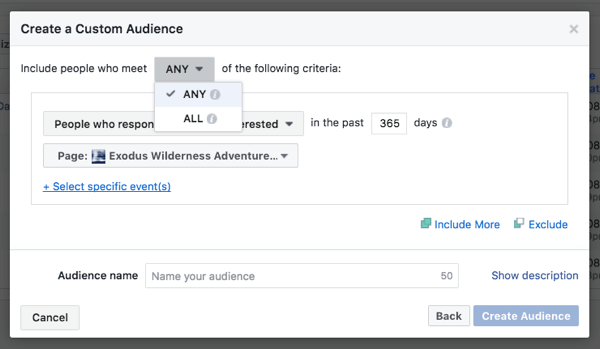 Explore audiences within the Facebook Ads Manager. Get started with Facebook Pixel. Listen to our podcast where Amanda talks about Facebook Video Retargeting for Live Video and Beyond. What do you think? 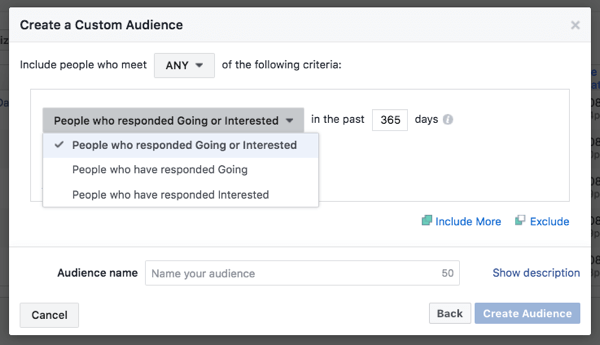 What are your thoughts on Facebook custom audiences? Please leave your comments below.